I often get asked what to do with Pheasant. Most people bbq them, I find that to be a little boring and dry to say the least. Pheasant, unlike chicken, does not have any fat on it so it dries out very easily. Once dried, its like eating pheasant jerky. So from time to time I mess around with different methods of cooking pheasant. My wife is a major fan of Hispanic food, she LOVES it. I, not so much, but she would eat it every day if she could. So to celebrate my love for her and her food fetish I decided to make Chili Relenos. 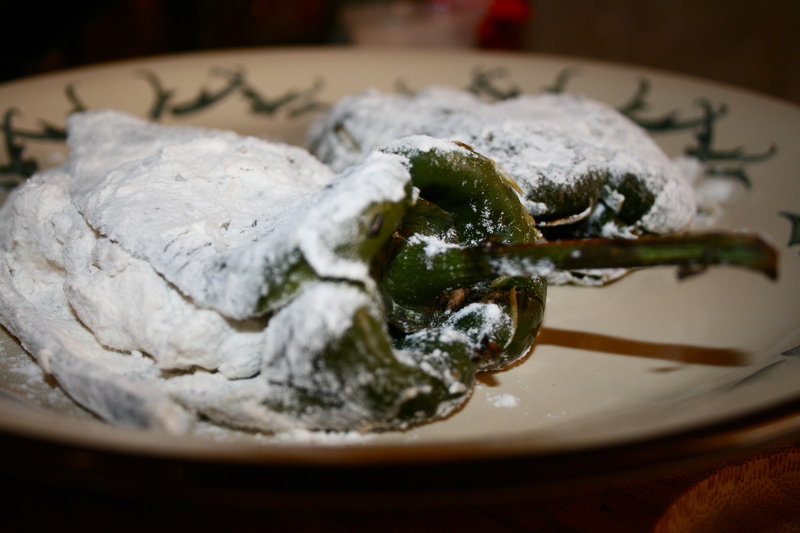 First, thing you do is go out and buy some Poblanos. Make sure you buy the ones that are flat and not twisted because you are going to stuff them. I bought four, because that is about the perfect amount for two pheasant breast. 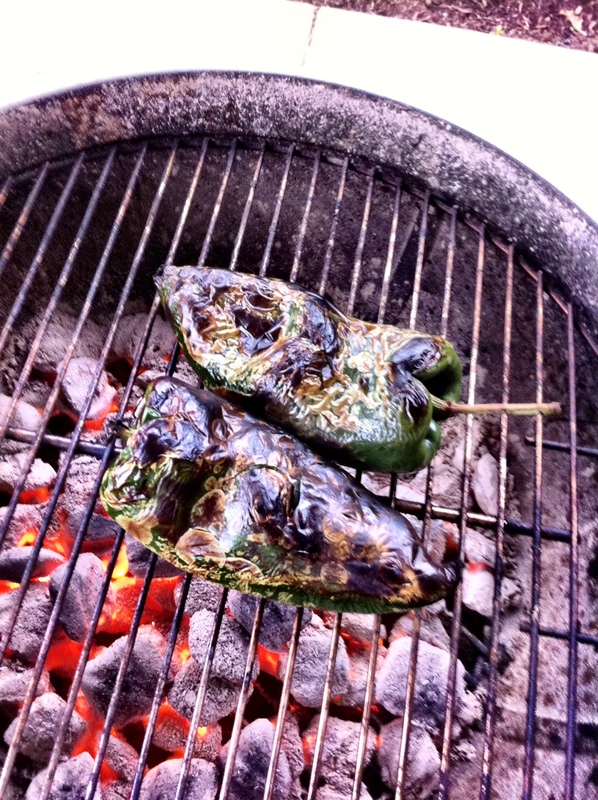 I used a bbq in this method, but you can use the flame from your oven grill or broil method.  You want to turn them black on both sides, don’t be afraid to get them on some fire. 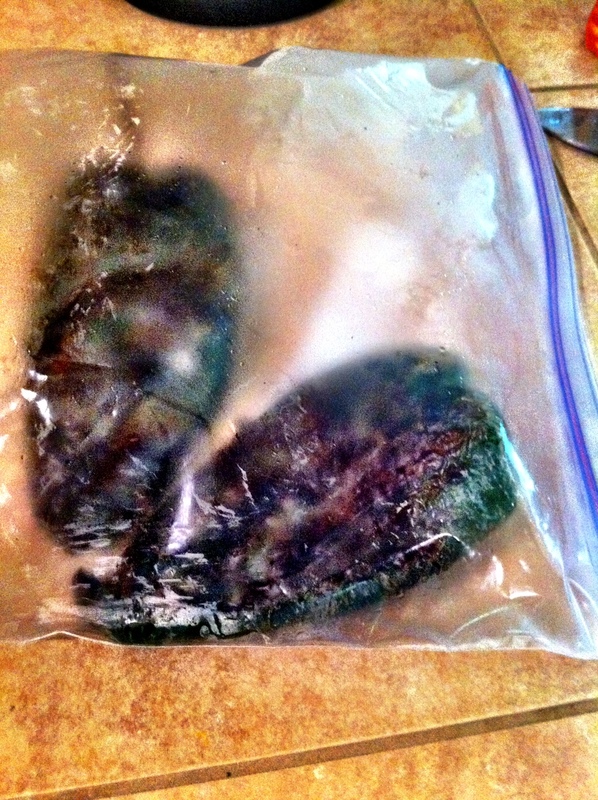 After blackening both sides remove them from the heat source and put them in a plastic bag for about 7-10 minutes. You really want to put the chilis in a zip lock bag. 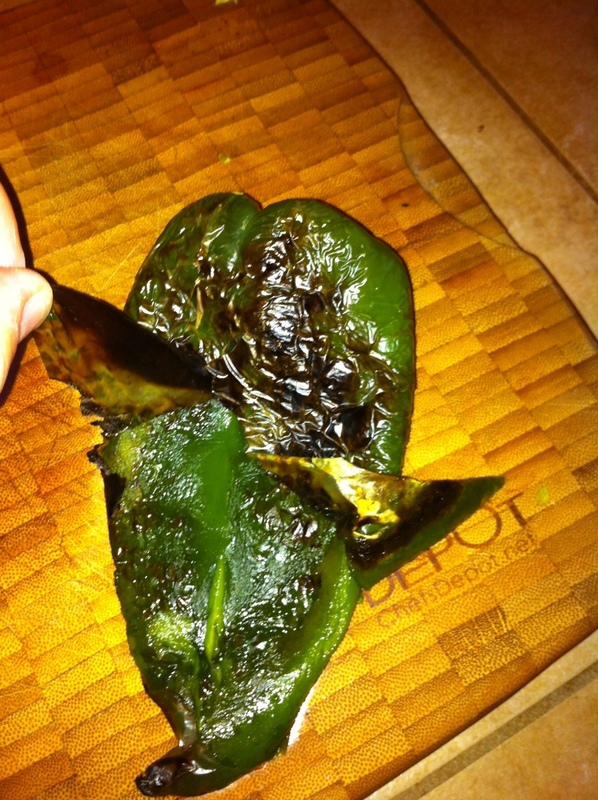 This creates moisture and will allow you to peel the outer skin of the Poblano with ease. Make a slit down the length of the chili, but NOT past the end. Remove the pepper seeds and anything else that may be in there. While doing this, get a skillet going on medium hot, add some olive oil and some butter and take your pheasant breast that you season with sea salt and pepper and brown both sides, should not take more than 3-4 minutes a side. Then cut them into 1/2 squares and set aside. I use a little cuisnart because it has more power than a Bullet. You will need a food processor to make this perfect, but if you have to use a kitchen aid then you will just have to do it longer until the chicken is broken down and mixed well. Add your cooked pheasant to the food processor. Add 1 cup of shredded pepper jack cheese. Add 2 whole garlic cloves. 1/2 tsp. of cayenne pepper (you can add more if you want a little more zip). 1/2 tsp of chili powder. 1 tablespoon of olive oil. Add more to the blender if you think it needs it to blend up well. 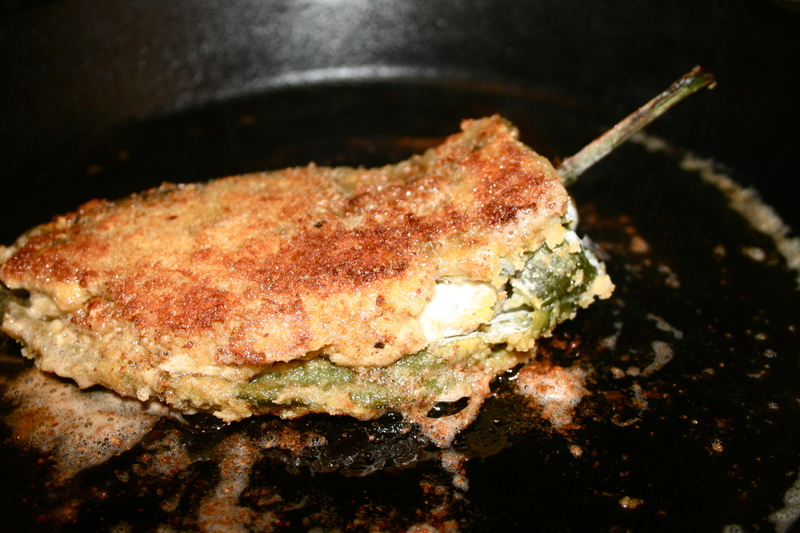 Blend up until consistency is good and stuff your Poblano chilis. 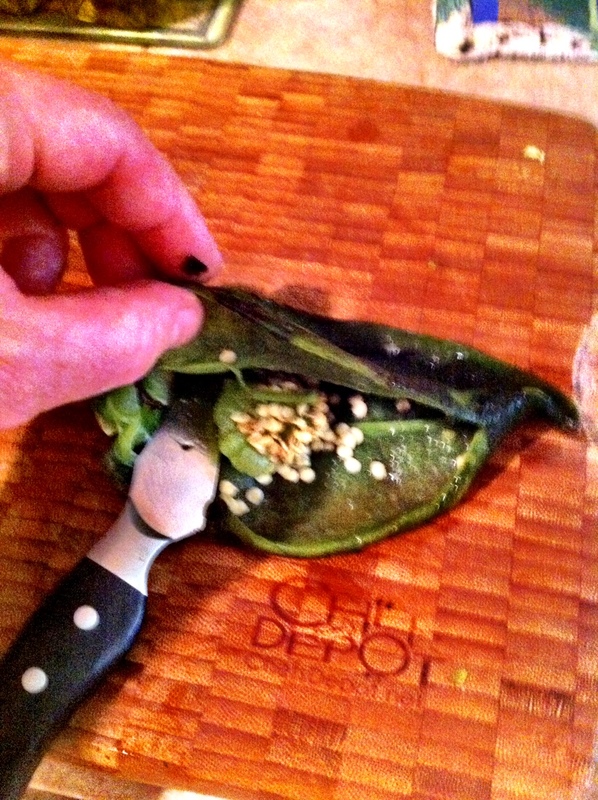 Take the chilis and roll them in an egg wash first. Basically mix beat two eggs and put them in a bowl. 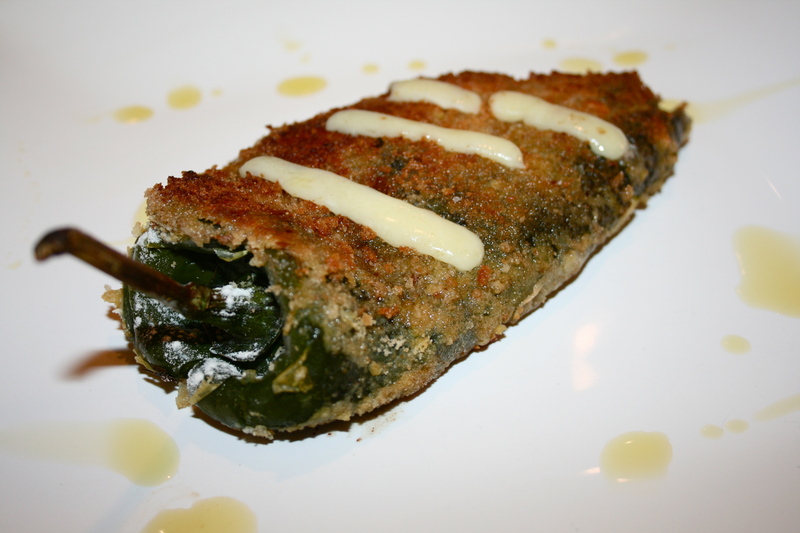 Take another bowl and put flour in it and roll chilis in flour. 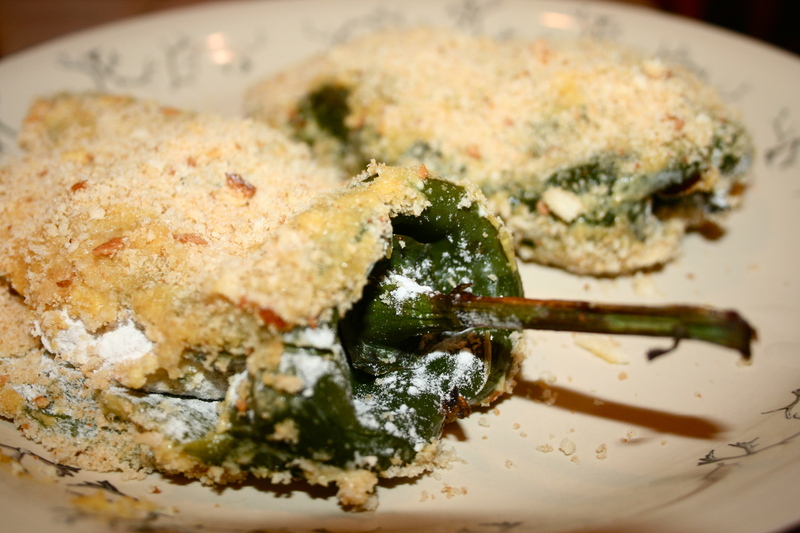 Take the floured stuffed chilis re-apply the egg wash and roll in bread crumbs. This can be progresso or homemade. Then set in fridge to “set up” for at least 30 minutes. Get your Cast Iron Skillet y’all and get to workI personally use a cast iron skillet for these types of things. I love the color that it distributes over what I am working with and it also gives me an excuse to use it more than my wife when she wields it as a weapon when I come stumbling home late. Take some butter and olive oil and brown them on both sides. Just like the photo folks. Get your oven rolling at about 350 degrees and get a cooking dish and set the peppers in maybe do a once over with pam to make sure it does not stick. I took a some cheese and cut it in small lengths just for appearance. Put in the oven for 15 minutes, I added some hot Mexican oil for the photo but this is where you can use your own imagination and take this dish to another level. There are over 3000 types of salsa that you can make for the side that could send this dish over the top. Take a shot and make something to make it special to you. I hope you enjoyed the recipe. The Huntingchef Pheasant Chile Relenos are plated and ready for the little lady.